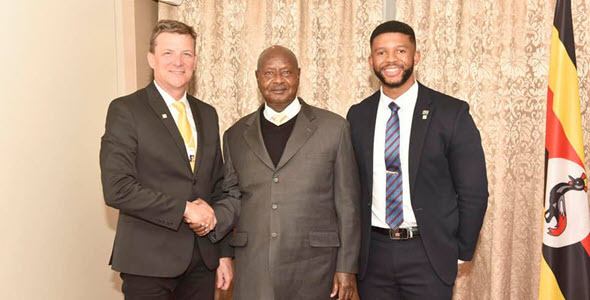 President Museveni on Wednesday met the MTN Group Chief Executive Officer, Rob Shuter, and urged him to float shares of the telecom company on the stock exchange so that Ugandans can be allowed to buy a stake in the company. 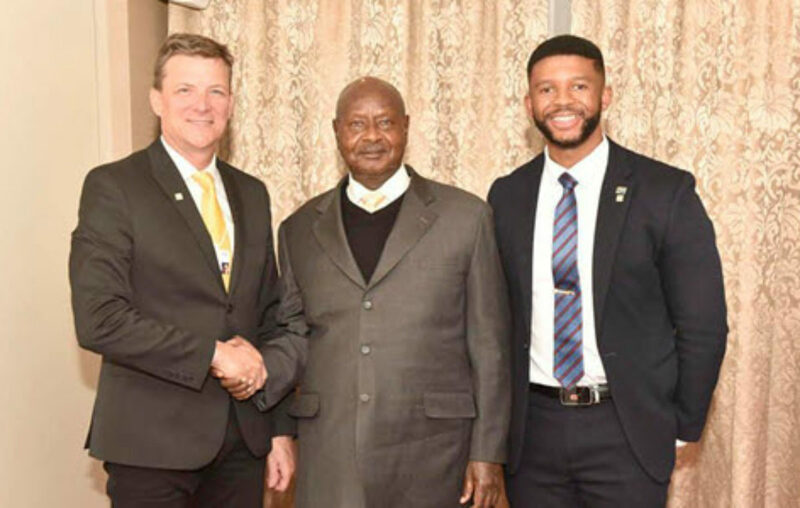 The meeting, which was held on the sidelines of the World Economic Forum in Davos, came as the company staff in Uganda face allegations of engaging in subversive activities. However, the President did not hint about discussing the matter, according to a State House statement. “Local ownership is important because it helps us stem capital flight which happens when the company is fully foreign-owned. The question of repatriating 100% of your profits yet there is little value-addition and wealth creation for Ugandans is unfair,” Museveni is quoted as saying in the statement. “It for this reason that we are banning registration of new fully-owned foreign betting companies while the old ones will not have their licenses renewed. All they do is accumulate money from Ugandans then ship it out of the country,” he added. In the meeting with Mr. Shuter, the President also warned against telecoms under-declaring calls and cheating the government of revenue. “We have bought machines to track these calls but it is still important that the companies do not engage in this vice,” the President said. Police on Monday deported Olivier Prentout, a French national, and Ms. Annie Tabura, a Rwandan, to France and Rwanda respectively, for allegedly engaging in activities that threaten national security. Ms. Elsa Mussolini, the MTN mobile money general manager, was on Tuesday evening also deported back to Italy after being grilled for about four hours at the Special Investigations Division (SID) in Kireka, near Kampala.